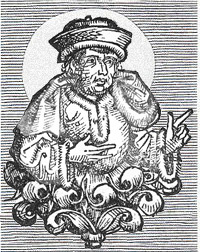 Critics of conditionalism often credit fourth-century apologist Arnobius of Sicca with being the first clear proponent of conditionalism. From Robert Peterson to John Blanchard to Robert Morey, there is an abundant tendency among traditionalists to indicate Arnobius as “the first name usually associated with” annihilationism and conditional immortality,1Blanchard, J. Whatever Happened to Hell? (Crossway, 1995). 211. who gave “the first clear expression of annihilationism,”2Peterson, R. Hell On Trial: The Case for Eternal Punishment (Presbyterian & Reformed, 1995). 104. that annihilationism “was first advanced by Arnobius, a 4th-century ‘Christian’ apologist, according to standard reference works such as Baker’s Dictionary of Theology.”3Morey, R. Death and the Afterlife (Bethany House, 1984). 199. Each of these authors is critical of Arnobius and his work; Morey is even hesitant to identify Arnobius as Christian, enclosing the term in scare quotes. The impression these authors apparently intend to leave their readers with is that conditionalism emerged hundreds of years after the writing of the New Testament, first espoused by a “less-than-careful thinker”4Peterson. Hell On Trial. 103. whose very faith is of questionable legitimacy. Meanwhile, Irenaeus of Lyons, an apologist who wrote about 200 years before Arnobius, is typically praised for his work. Blanchard calls him “one of the most significant theologians of his time.”5Blanchard. Whatever Happened to Hell? 89. Philip Schaff says, “It is plain that [Irenaeus] possessed a good share of learning, and that he had a firm grasp of the doctrines of Scripture.”6Schaff, P. Ante-Nicene Fathers, Volume 1 (Eerdmans, 2001). 312. And Irenaeus is often cited as early support for the traditional view of hell. Robert Yarbrough includes him among “writers from the second century A.D. [who] speak of hell’s unending torment.”7Yarbrough, R. W. (2004). “Jesus on Hell.” In Morgan, C. W. and Peterson, R. A. (Eds.) Hell Under Fire: Modern Scholarship Reinvents Eternal Punishment (Zondervan). 84-85. Morey likewise cites Irenaeus’ work as one of “those places in early Christian literature where the doctrine of eternal, conscious torment is taught.”8Morey. Afterlife. 162, 167. Thus traditionalists think they have in Irenaeus a much clearer, more biblical thinker than Arnobius, promoting the traditional view of hell some two centuries earlier. However, when one takes a closer look at the writings of Irenaeus, one discovers that in citing him, traditionalists proverbially shoot themselves in the foot. Irenaeus was indeed a rather clear thinker and sound theologian. Contrary to the claims of traditionalists, however, his work is one of the earliest explicit affirmations outside of scriptures of the final annihilation of the wicked. The answer is both yes and no. It is true that, as Protestants, evangelical conditionalists tend to be deeply committed to the doctrine of sola scriptura, willing to accept what we think the Bible clearly teaches even if it means believing contrary to what the majority of Christians have taught for many hundreds of years. On the other hand, we recognize that God “gave some as apostles, and some as prophets, and some as evangelists, and some as pastors and teachers, for the equipping of the saints for the work of service, to the building up of the body of Christ.”9Ephesians 4:11-12, NASB. The insights God gave to teachers throughout church history, from the apostolic era onward, are meant to build us up and to equip us, and they are not to be ignored. The most ancient of those teachers were discipled if not by the apostles themselves then by disciples thereof, and so they ought to be taken very seriously. As conditionalist Edward Fudge puts it,10Fudge, E. The Fire That Consumes (Third Edition) (Wipf and Stock, 2011). 253. Although not canonical, the writings of those fathers of the church are worth our reading, for these are men who were taught by the apostles, or by those whom the apostles had taught. Their writings offer a window into some of the thinking of some leaders of that early generation of believers. If we find among the apostolic fathers some unanimity of opinion, it is not to be taken for granted. If the clear consensus among the earliest, post-New Testament believers was that the risen wicked would suffer forever in hell, many who have otherwise embraced conditionalism might not have done so. 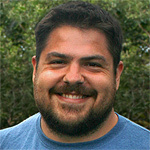 No matter how clearly we think the relevant texts of Scripture support the final annihilation of unbelievers, unanimous affirmation to the contrary on the part of the early church would compel us to come to terms with and accept that the apparently clear words of scripture were originally intended, under inspiration from God, to be taken as meaning something other than the obvious. What’s more, I happen to agree with my traditionalist friend Dee Dee Warren, host of the Preterist Podcast, who has often said, “Theological novelty is not a good thing.”11Warren, Dee Dee (2005, December 4th). “Theological novelty.” The Preterist Blog. Retrieved 1 November 2012. http://www.preteristblog.com/?p=17 Consequently, if a formerly unheard of doctrine emerged hundreds of years after the close of the canon, its novelty would seriously cast doubt on its truthfulness. 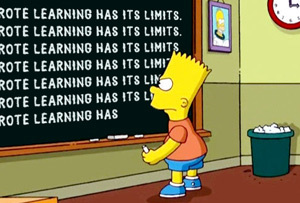 Fortunately, such cannot be demonstrated when it comes to the doctrine of conditional immortality. Early church fathers typically referred to final punishment using biblical terminology, without elaborating much in their own words, as noted by Fudge.12Fudge. Consumes. 254. Steward Salmond likewise acknowledges that the words of the earliest fathers concerning the topic were often “simple repetitions of the terms of Scripture”13Salmond, S. D. F. The Christian Doctrine of Immortality (T. & T. Clark, 1895). 594. As such, convinced that biblical language supports our view, many conditionalists believe the writings of the early Church are clearly in our favor. Fudge notes, for example, that both “Constable and Froom claim that all the apostolic fathers support the views of conditional immortality: that immortality is God’s gift through the redemption of Jesus, only the saved will live forever, and the damned eventually will exist no more.”14Fudge. Consumes. 254. Since for the most part Irenaeus was not an exception, and since traditionalists obviously think that biblical language supports their view, they likewise just assume it’s what Irenaeus taught. Take Morey, for example. In a chapter entitled “Punishment: Conscious and eternal,” Morey offers just one quotation from Against Heresies by Irenaeus as evidence that he taught the traditional view of hell. He cites book 3, chapter 4, in which Irenaeus writes, “The judge … will send into eternal fire those who alter the truth, and despise his Father and his coming.”15Morey. Afterlife. 167. Please note that Morey incorrectly identified this as having come from book 2. Irenaeus’ use of the phrase “eternal fire” is apparently enough to convince Morey that Irenaeus taught eternal torment. Yet conditionalists make a compelling case that this phrase, as it is used by Jesus and Jude,16Matthew 18:8; 25:41; Jude 1:7 underscores the final annihilation of the lost; we likewise cite Irenaeus’ words as evidence that he taught our view, since nothing in his own words contextualizes it as eternal conscious torment. In his second appendix, Morey offers many more quotes from Against Heresies which he thinks refer to the traditional view of hell, but most of these suffer from the same kind of problem. Morey cites Irenaeus eleven times, places where Irenaeus used terms like “everlasting fire,” “eternal fire,” “the fire is eternal,” “where their worm shall not die, and the fire shall not be quenched,” “The punishment … rendered also eternal,” “outer darkness,” “furnace of fire,” and “weeping and gnashing of teeth.”17Morey. Afterlife. 277-278. Being simple repetitions of the terms of Scripture, none of these supports Morey’s contention that Irenaeus taught the traditional view of hell; conditionalists are not only comfortable with such language but argue that it makes better sense in the context of annihilation. Imagine a conditionalist author making the claim that Against Heresies is one of “those places in early Christian literature where the doctrine of annihilation is taught,” and the passages cited as evidence were the very passages cited by traditionalists like Morey. After all, we know that “eternal fire” completely destroys (Jude 1:7), that the wicked like chaff are completely burned up in a “furnace of fire” (Matt. 13:40-42; cf. Mal. 4:1, 3), that it is not living people but lifeless corpses being thoroughly consumed, whose “worm shall not die” and whose “fire shall not be quenched” (Isa. 66:24). Because traditionalists are convinced that those texts support their view, they wouldn’t let this hypothetical author get away with citing Irenaeus’ repetition of these texts as evidence for the final annihilation of the wicked. Those same traditionalists should not be given a pass, either. So the honest thing to do—whether one is a traditionalist or a conditionalist—is to acknowledge that when Irenaeus merely repeats biblical language concerning final punishment, it is not sufficient to determine with confidence which view of hell he taught. Where Irenaeus goes beyond biblical language, however, he clearly and unambiguously teaches conditional immortality and the final end to the unsaved. It’s important to remember that conditionalism is not only a positive affirmation of what awaits the lost—annihilation—but also a denial that their fate includes life. Contrary to the traditional view of hell in which they will live forever in torment,18Dear, J. (2012, October 19th). 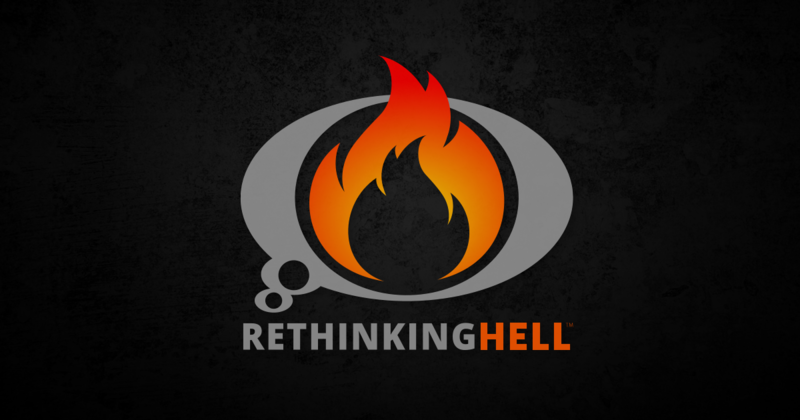 “What traditionalists say vs. what the Bible says.” Rethinking Hell [blog]. Retrieved 1 November 2012. http://www.rethinkinghell.com/2012/10/what-traditionalists-say-vs-what-the-bible-says/ the doctrine of conditional immortality holds that the unredeemed will die, perish, be destroyed. With that in mind, consider these words from Irenaeus:19Schaff. Fathers. 411-412. It is the Father of all who imparts continuance for ever and ever on those who are saved … [who] shall receive also length of days for ever and ever. But he who shall reject it … deprives himself of [the privilege of] continuance for ever and ever … shall justly not receive from Him length of days for ever and ever. Taken at face value, Irenaeus seems to be saying that although God would that the saved live forever, everlasting life will be withheld from the unsaved. Conditionalists today could hardly put it more clearly, that whereas “continuance … [and] length of days for ever and ever” will be gifted to the redeemed of God, those who reject him will not receive “continuance … [and] length of days for ever and ever.” The only alternative is that they will die, never to live again. Consequently, as the New Catholic Encyclopea reads, “From time to time there has recurred the idea of conditional immortality … Irenaeus said that the soul is not immortal by nature, but it can become immortal if it lives according to God’s law.”20The Catholic University of America. New Catholic Encyclopedia. Vol. 13 (McGraw-Hill, 1967). 469. Most traditionalists who are aware of this text from Against Heresies, however, insist that this cannot be what Irenaeus meant. Schaff, for example, comments in a footnote to this text: “This statement is to be understood in harmony with the repeated assertion of Irenaeus that the wicked will exist in misery for ever.”21Schaff. Fathers. 411. Eldon Woodcock says largely the same thing, that it is a bit “fuzzy” trying to read a reference to annihilation here when given “Irenaeus’ other statements clearly affirming eternal punishment for the wicked.”22Woodcock, E. (2012-07-11). Hell: An Exhaustive Look at a Burning Issue (Kindle Locations 8578-8581). WestBowPress. Kindle Edition. But just what, from the pen of Irenaeus, do these authors have in mind? Schaff says elsewhere of Irenaeus that “in paraphrasing the apostolic rule of faith he mentions eternal punishment, and in another place he accepts as certain truth that ‘eternal fire is prepared for sinners…'”23Schaff, P. History of the Christian Church, Vol. 2 (Scribner’s, 1910). 609. In the same vein, Woodcock cites one of the passages also cited by Morey: “Irenaeus clearly affirms the traditionalist perspective on the eternal punishment of the unrepentant wicked. ‘Thus also the punishment of those who do not believe the Word of God is not merely temporal, but is rendered also eternal…’”24Woodcock, E. Hell. Kindle Locations 8559-8560. Yet just as with Morey’s citations these are “simple repetitions of the terms of Scripture” by Irenaeus and therefore do not serve as clear support for one side over the other. But then his use of “continuance” and “length of days” does, which is confirmed by a closer look. Irenaeus was a dualist who believed that human beings have immaterial souls which live on consciously after the death of the body. Beginning book 2, chapter 34 of Against Heresies, from which the language of “continuance” and “length of days” comes, Irenaeus writes,25Schaff. Fathers. 411. The Lord has taught with very great fulness, that souls not only continue to exist, not by passing from body to body, but that they preserve the same form [in their separate state] as the body had to which they were adapted, and that they remember the deeds which they did in this state of existence, and from which they have now ceased. Irenaeus is talking about the state of the soul in the so-called intermediate state, not in final punishment, going on to cite Jesus’ parable of Lazarus and the Rich Man in which the rich man is in Hades, having been buried, his brothers still alive. Irenaeus proceeds to refute the claim of some that if the soul goes on consciously living after the death of the body, it must be eternal and without beginning. He writes,26Ibid. … all things which proceed from [God], whatsoever have been made, and are made, do indeed receive their own beginning of generation, and on this account are inferior to Him who formed them, inasmuch as they are not unbegotten. Nevertheless they endure, and extend their existence into a long series of ages in accordance with the will of God their Creator; so that He grants them that they should be thus formed at the beginning, and that they should so exist afterwards. According to Irenaeus, then, things which were created at a point in time can endure for very long periods of time if God so wills. He goes on:27Ibid. 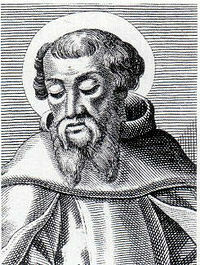 It is clear what Irenaeus meant by the phrase “existence and continuance.” This is not a phrase which one can argue is a reference to a state of eternal bliss and well-being, as traditionalists have often done with “immortality” and “eternal life.” No, Irenaeus is speaking of existence itself, not quality of existence, saying that “all things that have been made had a beginning.” As examples he offers inanimate objects incapable of experiencing varying quality of existence. So when he says they “endure as long as God wills that they should have an existence and continuance,” he’s saying that if God no longer wills that something has “existence and continuance,” what began will come to an end. It will no longer be, will no longer exist. With that in mind, first consider what Irenaeus goes on to write about the saved:28Ibid. He thus speaks respecting the salvation of man: “He asked life of Thee, and Thou gavest him length of days for ever and ever;” indicating that it is the Father of all who imparts continuance for ever and ever on those who are saved. For life does not arise from us, nor from our own nature; but it is bestowed according to the grace of God. And therefore he who shall preserve the life bestowed upon him, and give thanks to Him who imparted it, shall receive also length of days for ever and ever. Having just said that created things exist only so long as God wills that they endure, Irenaeus tells us that God does in fact impart “continuance forever and ever” upon the redeemed. He puts it another way, saying they will “receive also length of days forever and ever.” The dots hardly need connecting: things which had a beginning to their existence will continue to exist only so long as God would have them endure, and he would that the saved continue to exist forever. But Irenaeus says something quite the opposite concerning the lost:29Ibid. 411-412. But he who shall reject it, and prove himself ungrateful to his Maker, inasmuch as he has been created, and has not recognised Him who bestowed [the gift upon him], deprives himself of [the privilege of] continuance for ever and ever. And, for this reason, the Lord declared to those who showed themselves ungrateful towards Him: “If ye have not been faithful in that which is little, who will give you that which is great?” indicating that those who, in this brief temporal life, have shown themselves ungrateful to Him who bestowed it, shall justly not receive from Him length of days for ever and ever. Irenaeus could hardly be any clearer. Whereas God would that the saved be granted “continuance” and “length of days for ever and ever,” the lost will instead be justly deprived of the same. And again Irenaeus uses this language of “continuance” and “length of days” in the context of created things which have “existence and continuance” so long as God wills it. Irenaeus then is clearly and plainly stating that the redeemed will exist forever, and the unredeemed will not. As previously demonstrated, Schaff and Woodcock were mistaken in their belief that Irenaeus’ statements elsewhere preclude an annihilationist interpretation of this text. But just how do they interpret it? Schaff comments in a footnote to this text, saying, “It refers not to annihilation, but to deprivation of happiness.”30Ibid. 411. This is obviously not the case. Irenaeus is not at all talking about quality of existence, but of existence itself. The heavens, the sun, the moon and the stars are all inanimate and incapable of experiencing varying quality of existence, and having had a beginning, they simply exist as long as God wills that they do so. Irenaeus then says souls and spirits should be regarded similarly, as having had a beginning and existing as long as God wills that they do so. There is simply no contextual justification for believing that Irenaeus’ point has to do with the miserable quality of life faced by the wicked for eternity. Eldon Woodcock makes a similar error. Noting that David Powys cited Irenaeus’ words in this passage as evidence that he was a conditionalist, Woodcock writes,31Woodcock. Hell. Kindle Locations 8576-8577. Here Irenaeus affirms God’s blessing upon the saved of continuance forever of the eternal life that he has given them. He also indicates that those who reject his salvation will deprive themselves of the continuance of that eternal life. What else Woodcock says here is still more problematic:33Woodcock. Hell. Kindle Locations 8578-8579. Yet, contrary to Powys’ claim, Irenaeus states nothing as to what the postmortem future of the godless will involve! From this text alone one might infer either continuance in eternal punishment or annihilation. Irenaeus does in fact state what the postmortem future of the godless will involve; namely, that the godless person “deprives himself of [the privilege of] continuance for ever and ever,” that he “shall justly not receive from [God] length of days for ever and ever.” Again, “continuance” and “length of days” are in the context of “existence and continuance”—which, Irenaeus writes, continue only so long as God wills it. No, one cannot infer continuance in eternal punishment (by which Woodcock means eternal punishing), for anything other than annihilation requires “existence and continuance” and “length of days”—which Irenaeus says will not be granted to the unsaved. There simply is no avoiding the clear meaning of Irenaeus’ words. Whereas those who hold to the traditional view of hell affirm that both the saved and the unsaved will live forever throughout eternity, either blissfully in the presence of God or in torment having been separated from him, Irenaeus plainly taught that only the saved will live forever because “existence and continuance” depends upon the will of God, which he will deny the lost. Arnobius may have been an unclear thinker and an unsound theologian. And if Morey is right, perhaps Arnobius’ very salvation should be called into question. But even if the worst that is said about him is true, conditional immortality and the annihilation of the wicked was not first advanced by him in the fourth century. Apart from the biblical authors, the permanent end to the existence of the unsaved was taught some two hundred years prior to Arbobius in the plainest of terms by an apologist praised today by traditionalists who is believed to have been taught directly by Polycarp, a disciple of the Apostle John—and that is the great Saint Irenaeus of Lyons, the Conditionalist. 5. ￪ Blanchard. Whatever Happened to Hell? 89. 6. ￪ Schaff, P. Ante-Nicene Fathers, Volume 1 (Eerdmans, 2001). 312. 7. ￪ Yarbrough, R. W. (2004). “Jesus on Hell.” In Morgan, C. W. and Peterson, R. A. (Eds.) Hell Under Fire: Modern Scholarship Reinvents Eternal Punishment (Zondervan). 84-85. 8. ￪ Morey. Afterlife. 162, 167. 9. ￪ Ephesians 4:11-12, NASB. 10. ￪ Fudge, E. The Fire That Consumes (Third Edition) (Wipf and Stock, 2011). 253. 12. ￪ Fudge. Consumes. 254. 13. ￪ Salmond, S. D. F. The Christian Doctrine of Immortality (T. & T. Clark, 1895). 594. 14. ￪ Fudge. Consumes. 254. 15. ￪ Morey. Afterlife. 167. Please note that Morey incorrectly identified this as having come from book 2. 17. ￪ Morey. Afterlife. 277-278. 19. ￪ Schaff. Fathers. 411-412. 20. ￪ The Catholic University of America. New Catholic Encyclopedia. Vol. 13 (McGraw-Hill, 1967). 469. 21. ￪ Schaff. Fathers. 411. 22. ￪ Woodcock, E. (2012-07-11). Hell: An Exhaustive Look at a Burning Issue (Kindle Locations 8578-8581). WestBowPress. Kindle Edition. 23. ￪ Schaff, P. History of the Christian Church, Vol. 2 (Scribner’s, 1910). 609. 24. ￪ Woodcock, E. Hell. Kindle Locations 8559-8560. 25. ￪ Schaff. Fathers. 411. 31. ￪ Woodcock. Hell. Kindle Locations 8576-8577. 32. ￪ Woodcock, E., “The seal of the Holy Spirit and the eternal security of the believer,” in Elio Cuccaro (Ed. ), Alliance Academic Review (1997). 33. ￪ Woodcock. Hell. Kindle Locations 8578-8579.